I recently bought an annual pass to a local farm. I love getting out and about with the little ones to fun places that get us outside and exploring nature. This farm is an Eco farm and includes nature walks on it’s land so it seemed a no brainer. It means I can now offer the children regular experiences such as this. 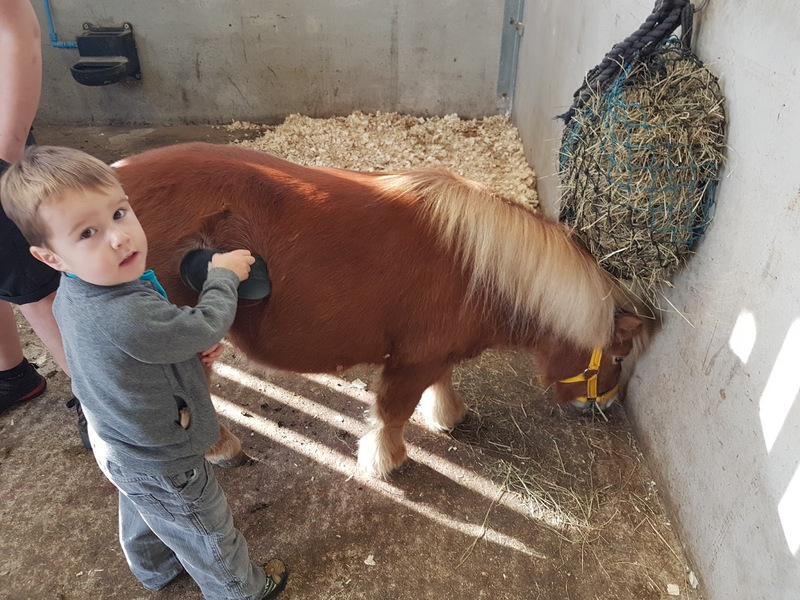 Pony grooming! This lovely girl is so relaxed with the children and seems to love being pampered! 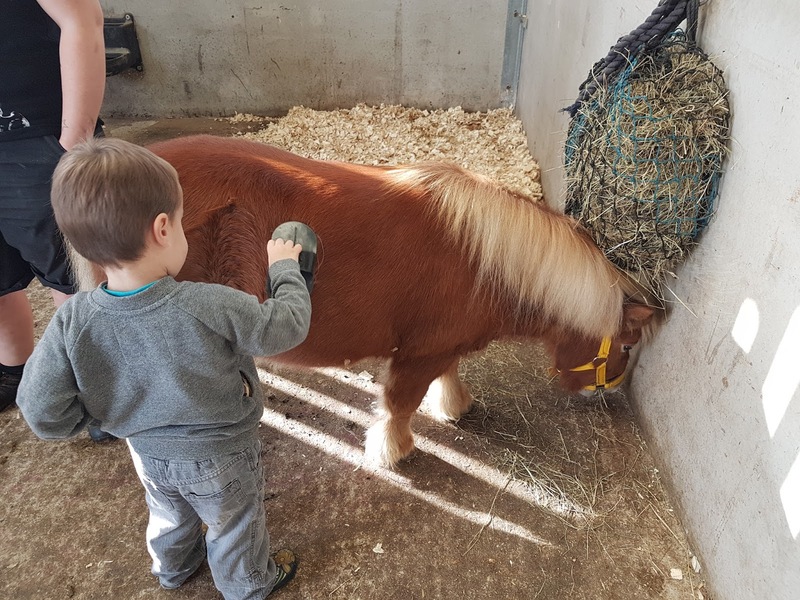 “J” gets to help look after a horse and learn about them as he does so. He is getting really confident with the ponies now and has only groomed them a handful of times so far! THE BIGGESTEST WORM I EVER DID SEE!